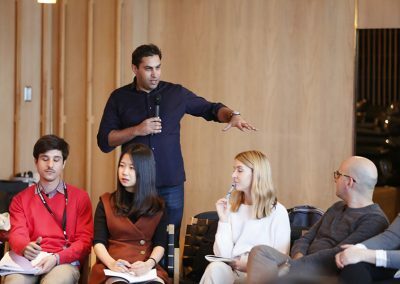 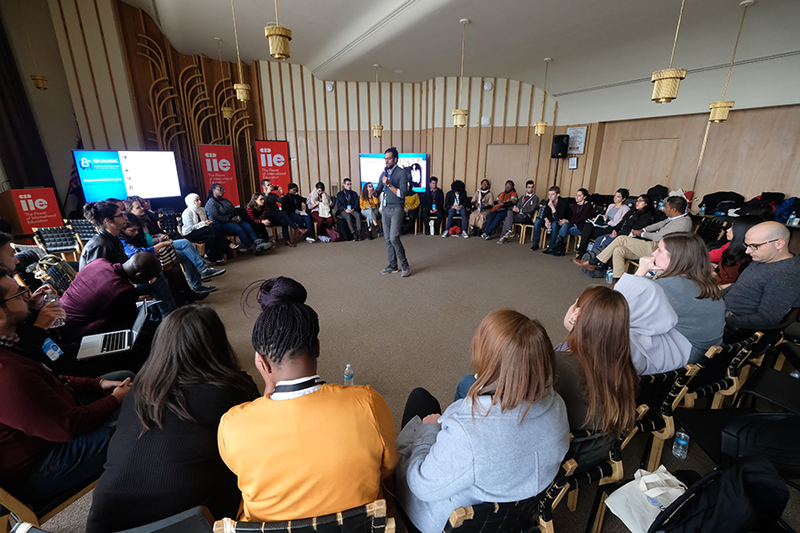 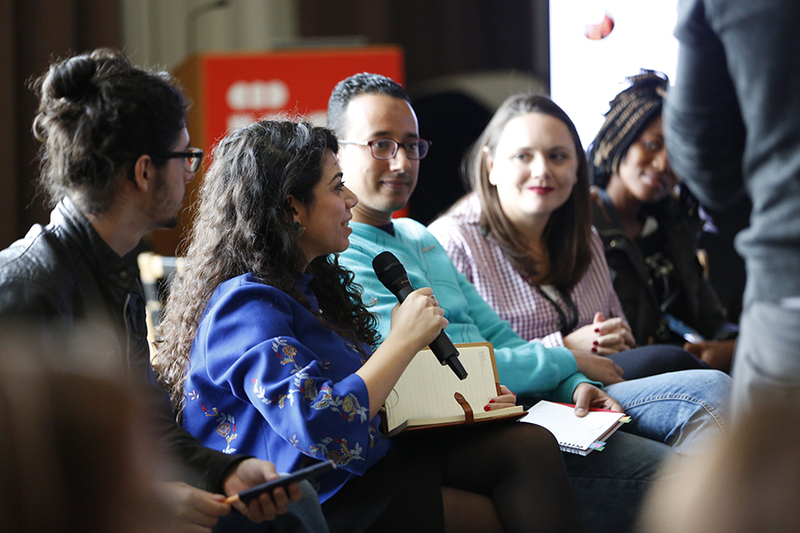 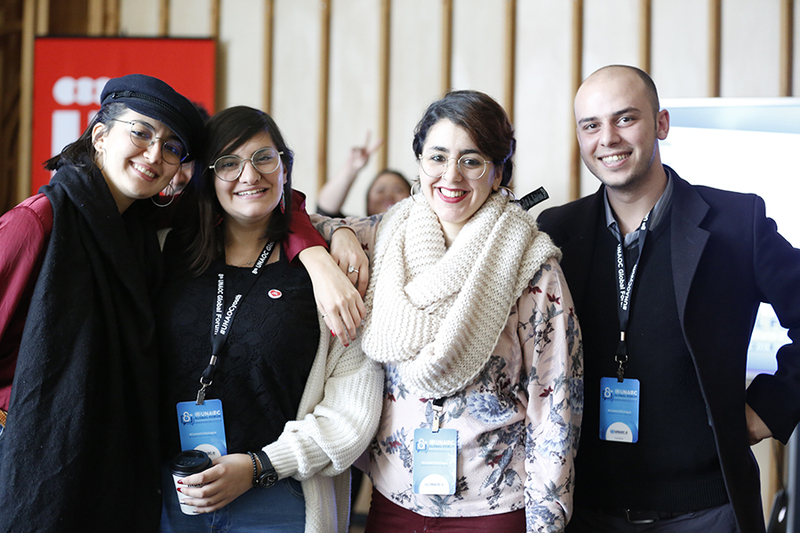 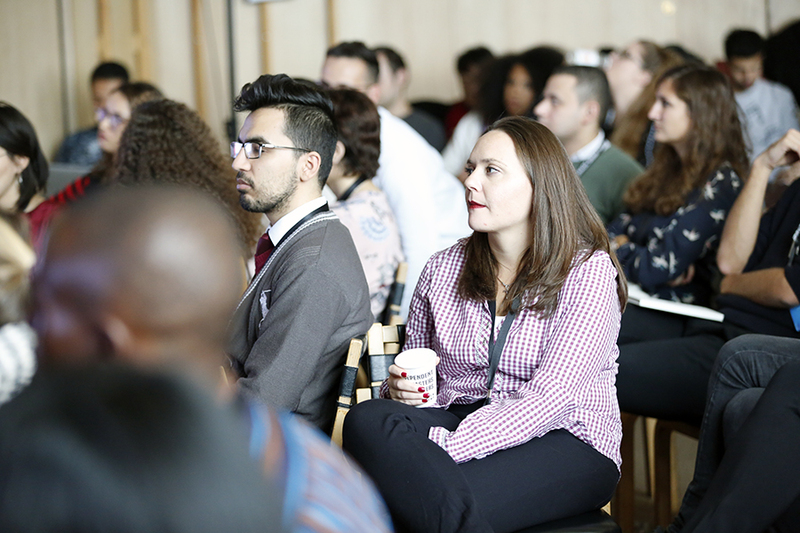 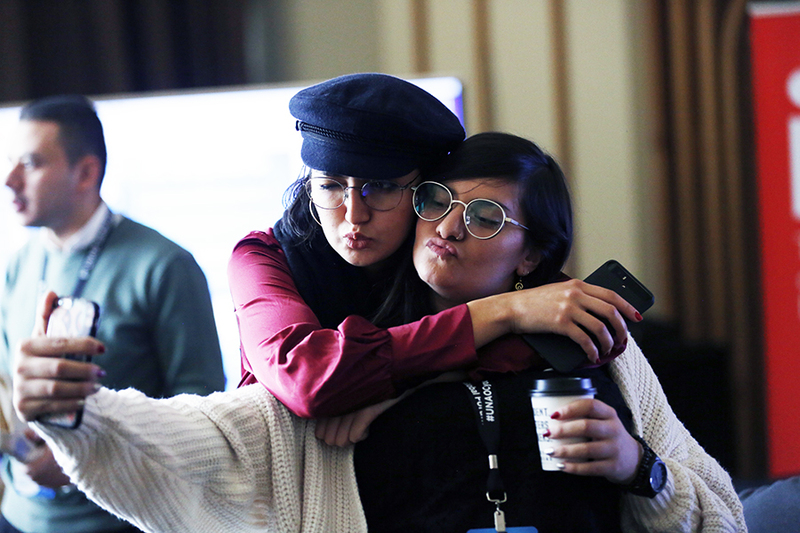 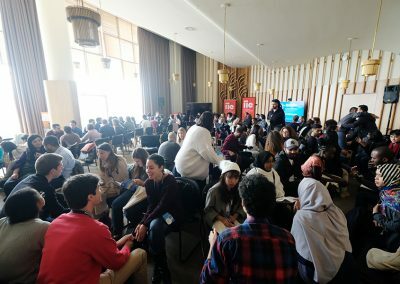 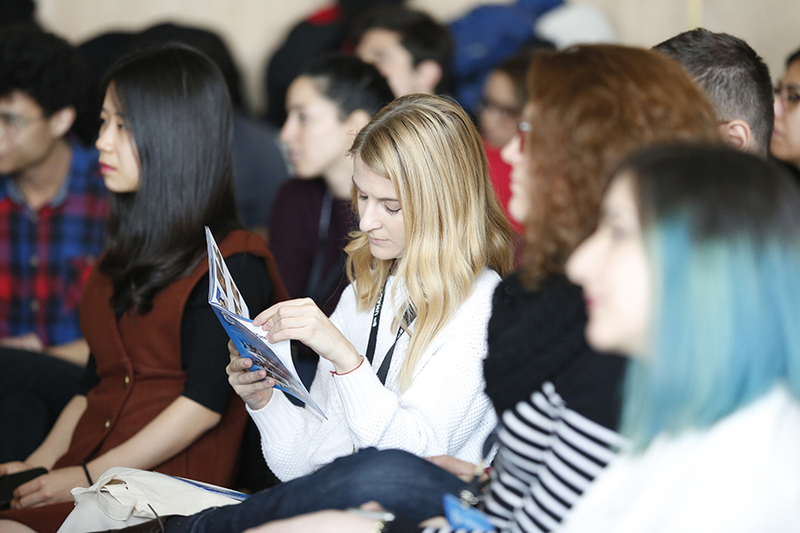 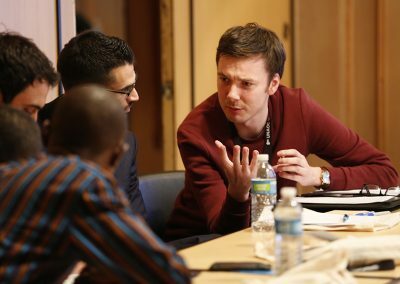 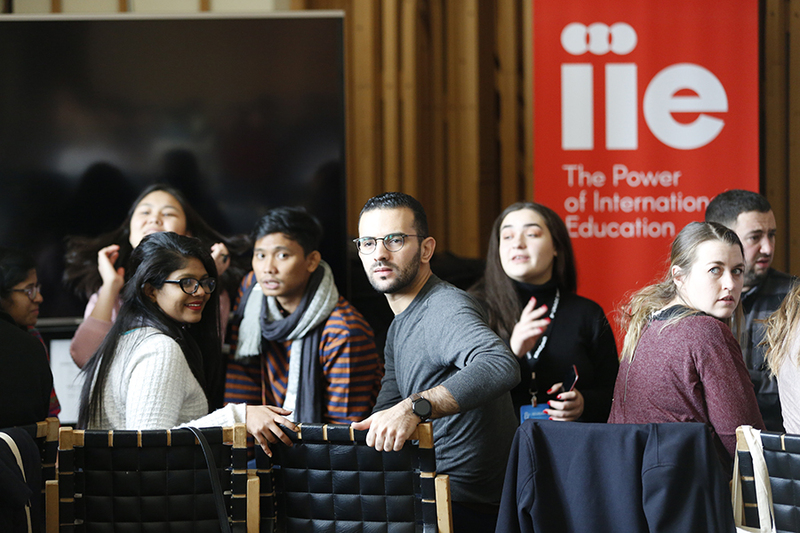 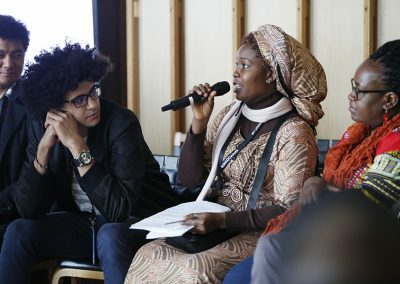 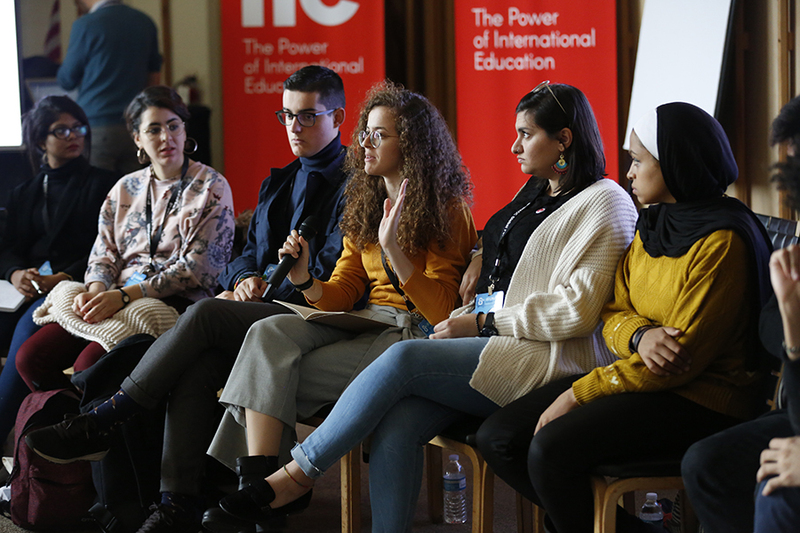 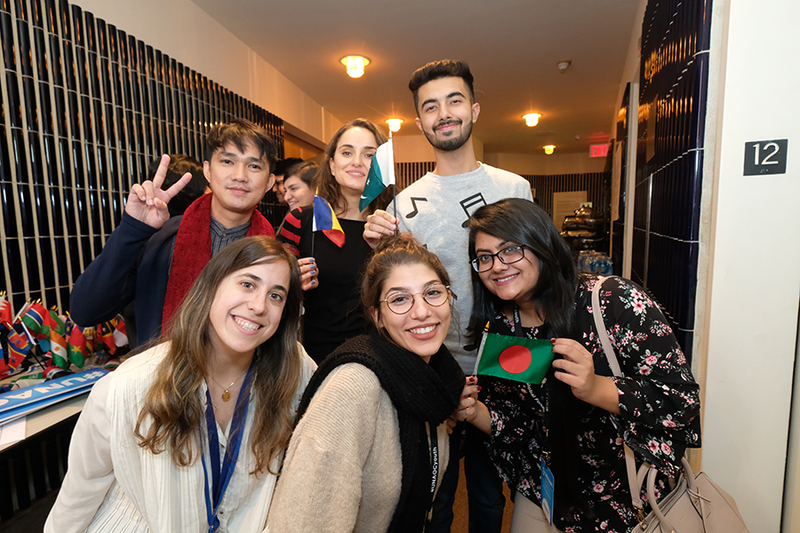 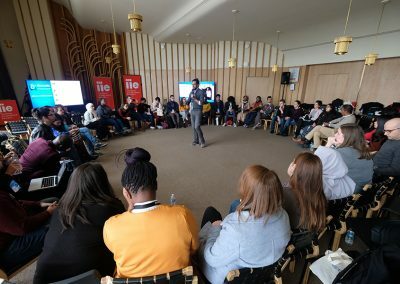 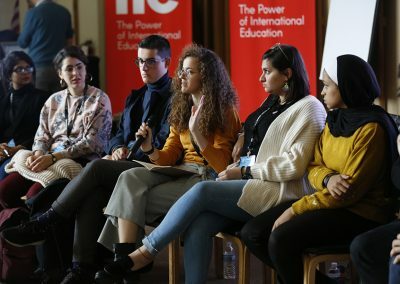 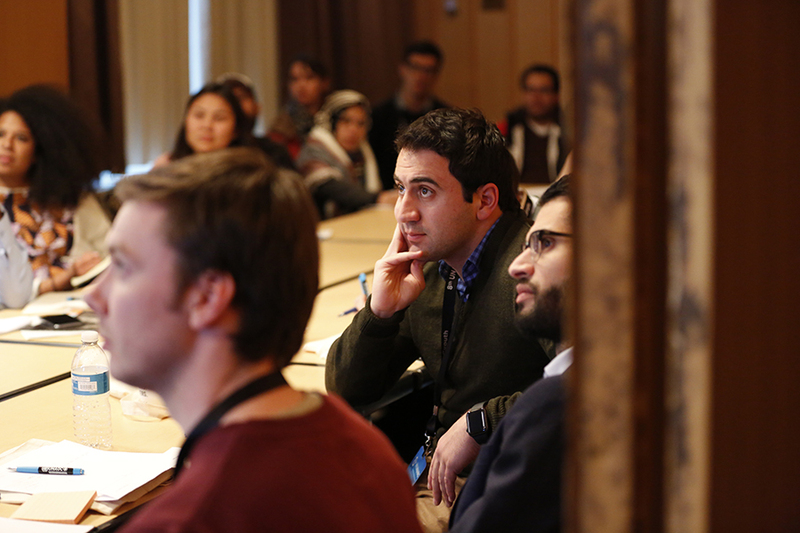 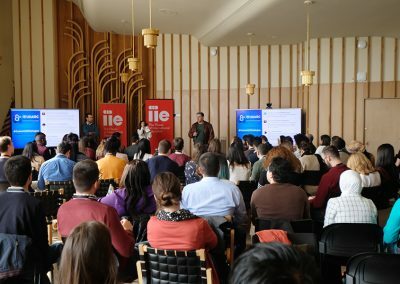 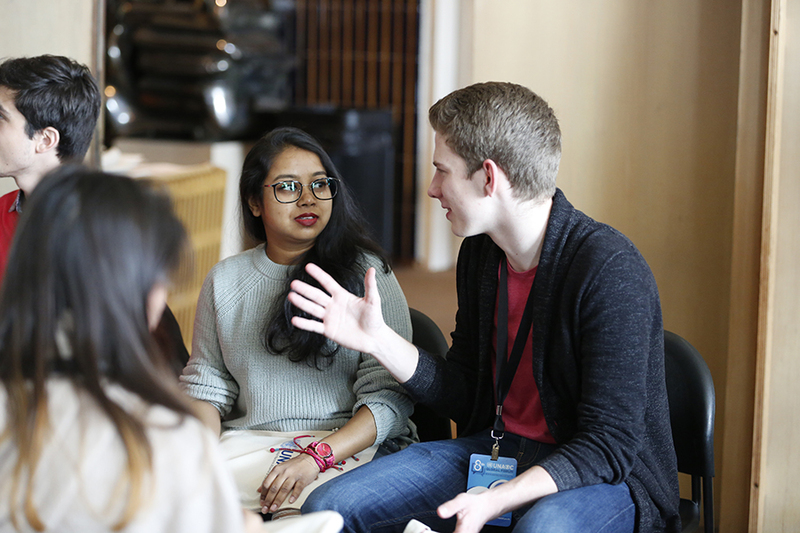 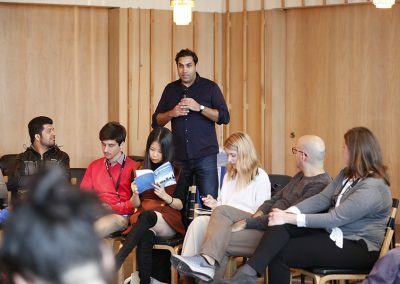 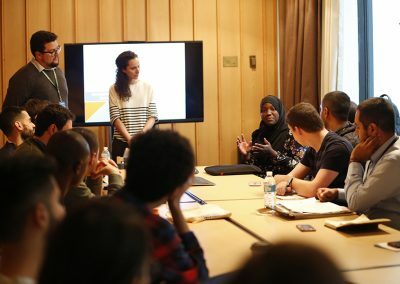 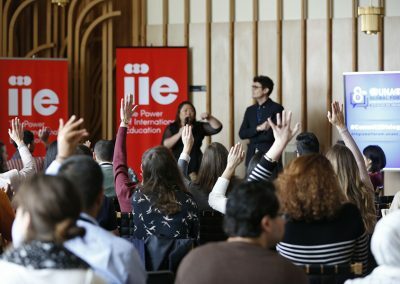 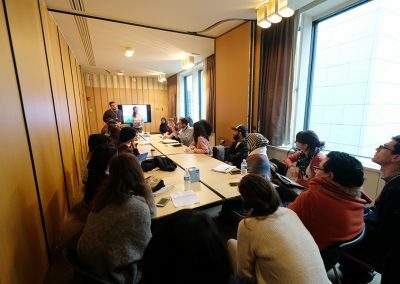 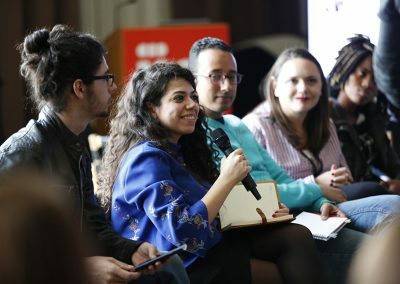 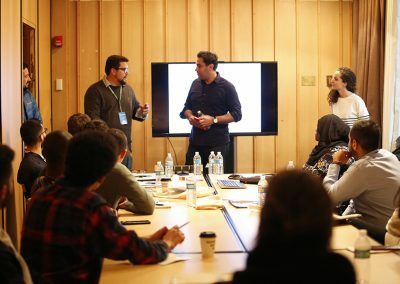 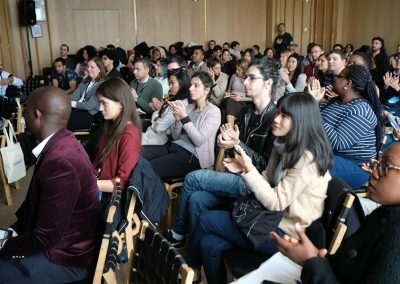 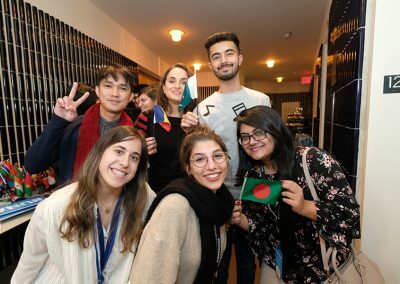 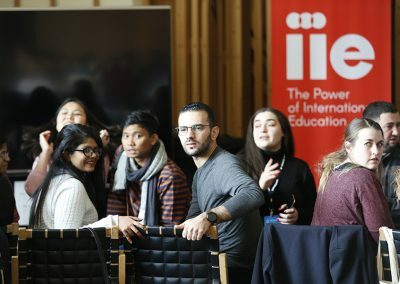 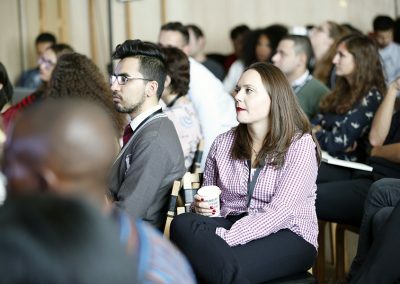 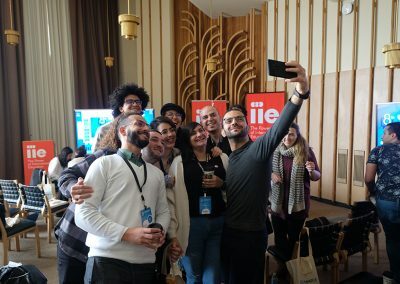 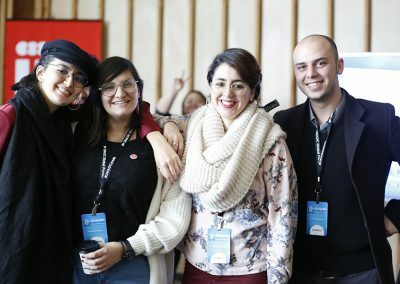 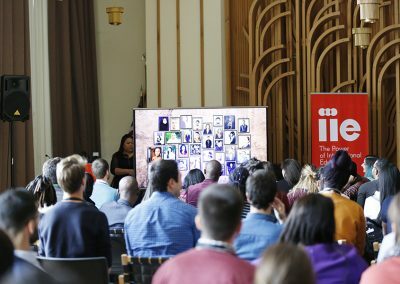 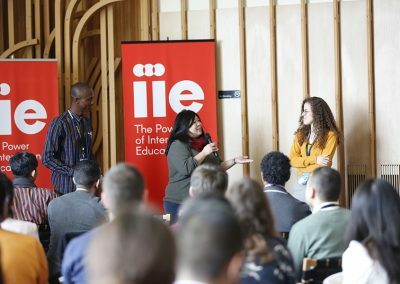 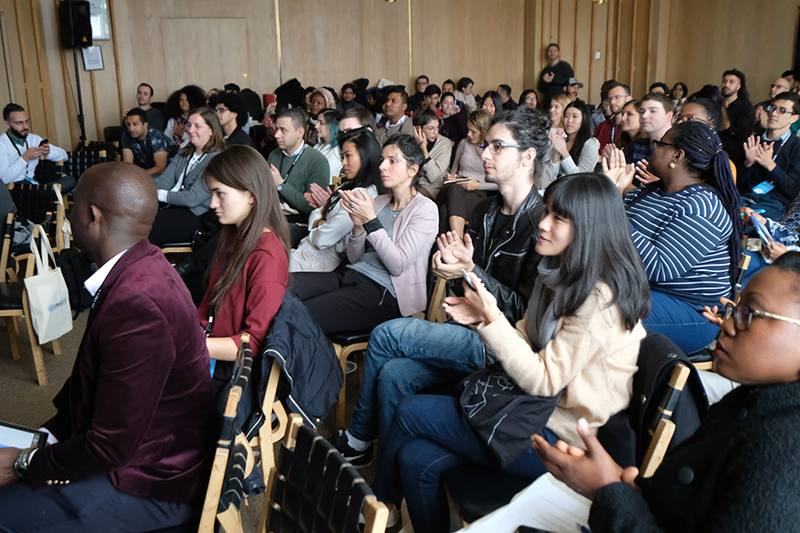 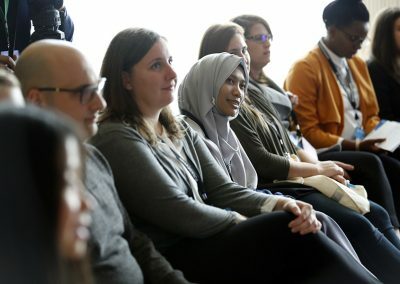 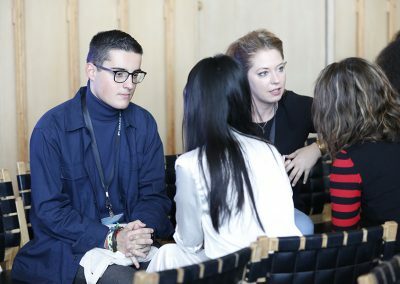 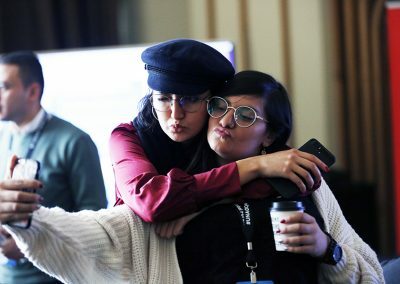 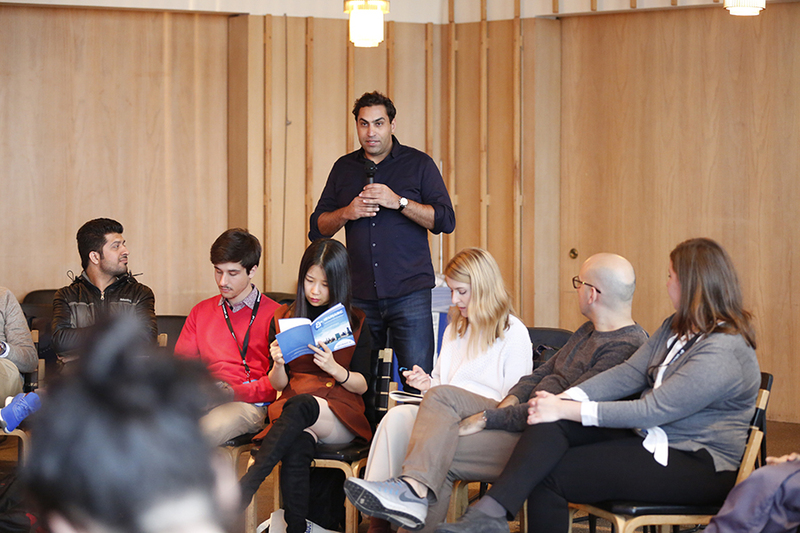 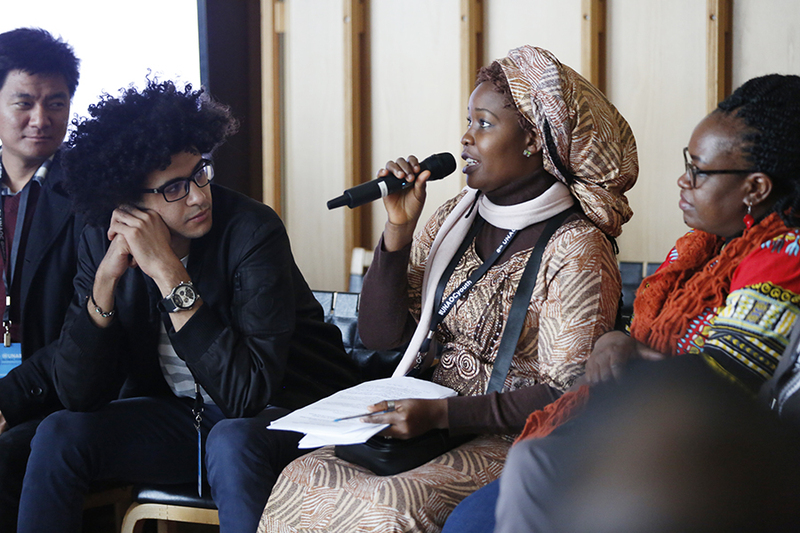 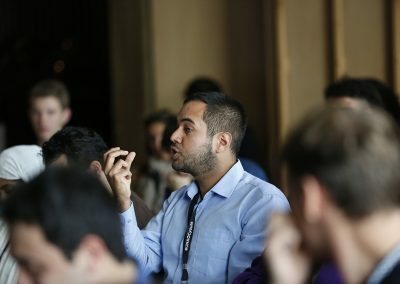 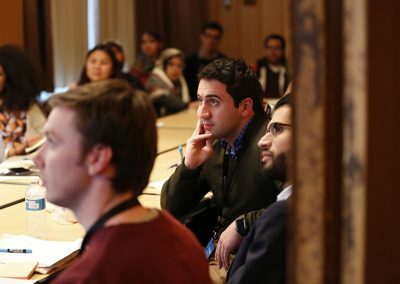 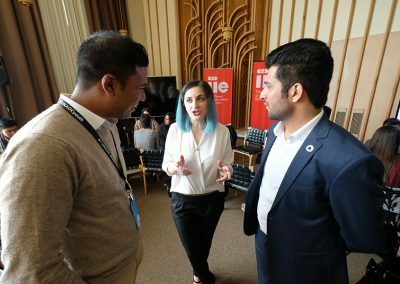 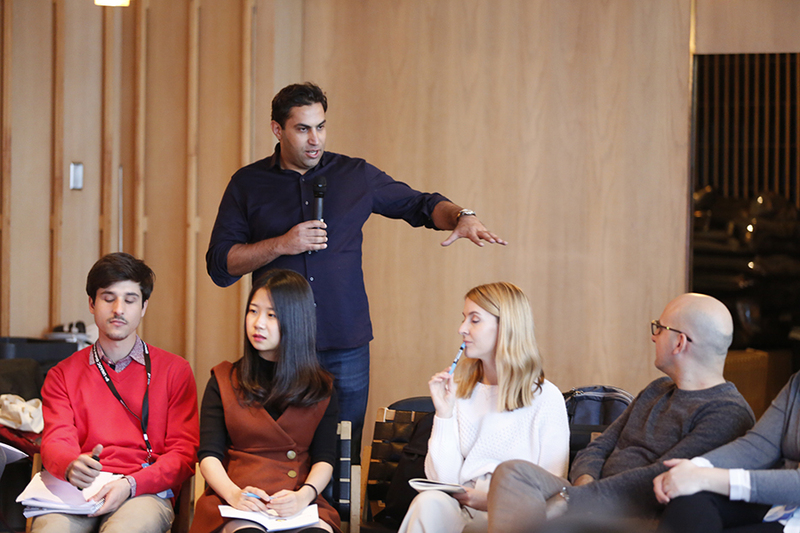 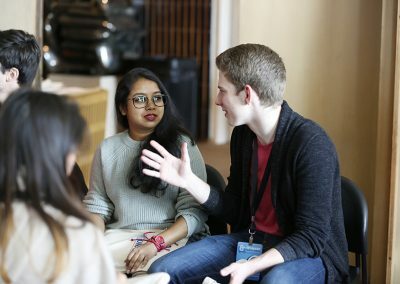 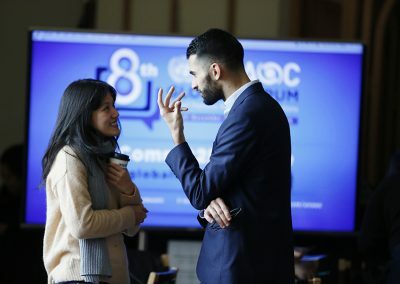 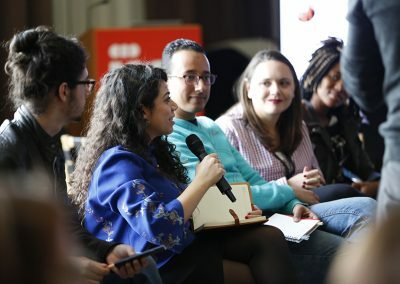 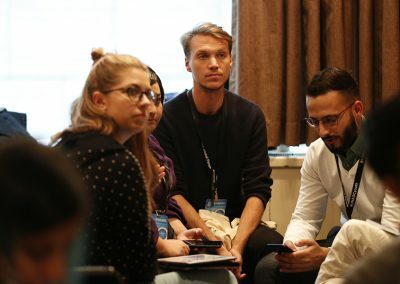 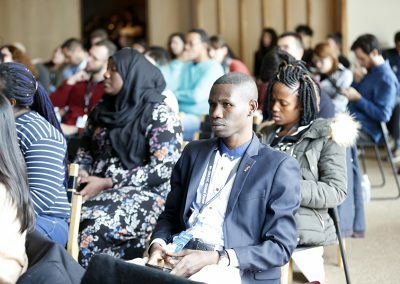 More than 100 youth from 60 countries and between the ages of 18 to 35 gathered on Sunday to prepare for the Youth Event of the 8th Global Forum of the United Nations Alliance of Civilizations (UNAOC), to take place on Monday. 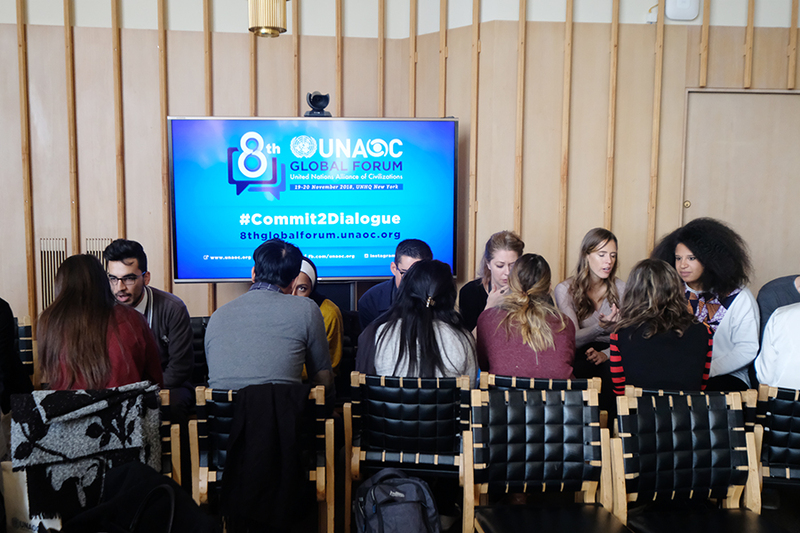 Youth at this event are alumni of the various UNAOC initiatives. 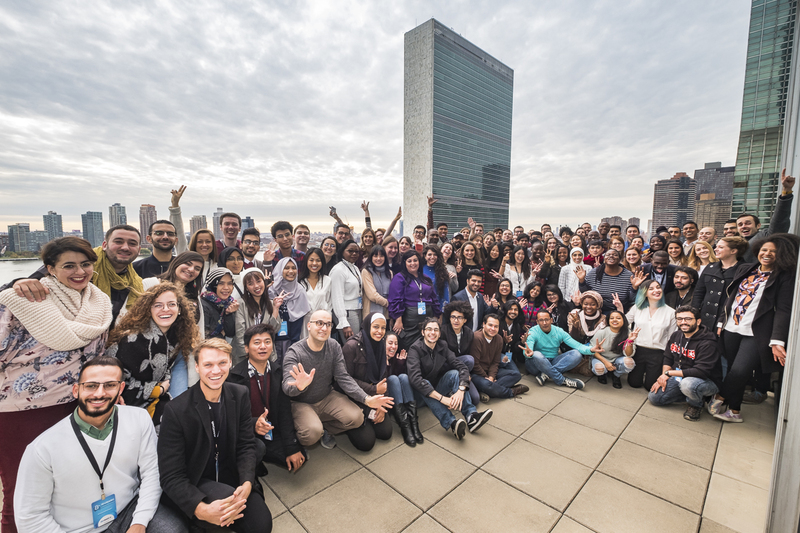 They are all youth leaders who are engaged in grassroots activities and who have been beneficiaries of UNAOC’s programmes over the past ten years. 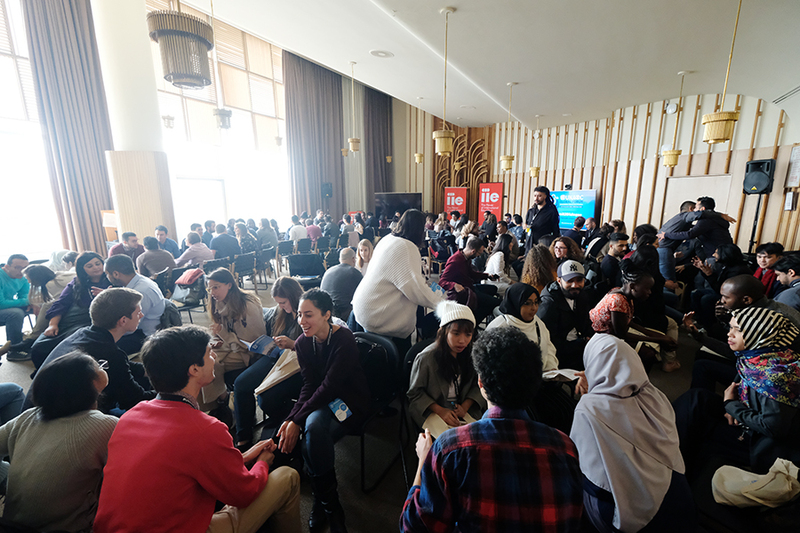 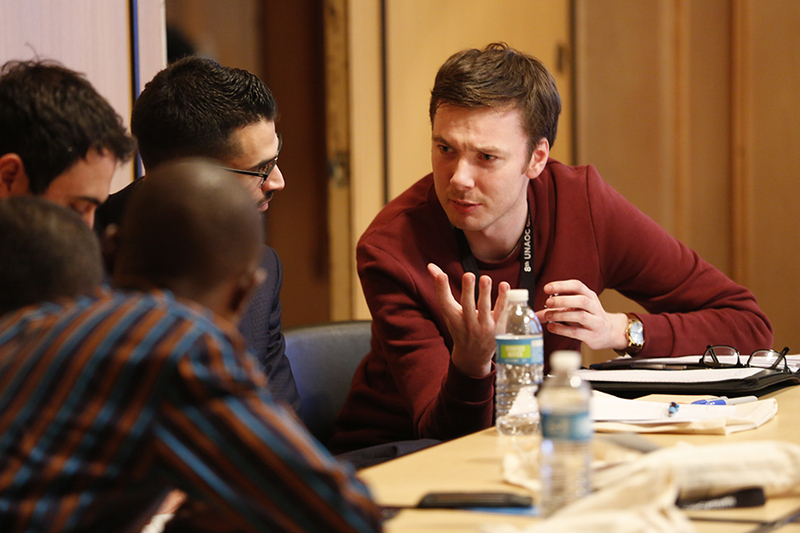 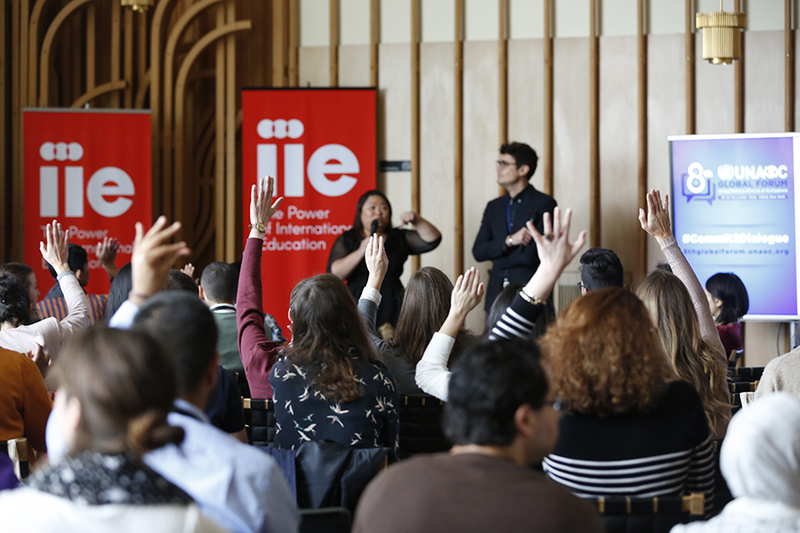 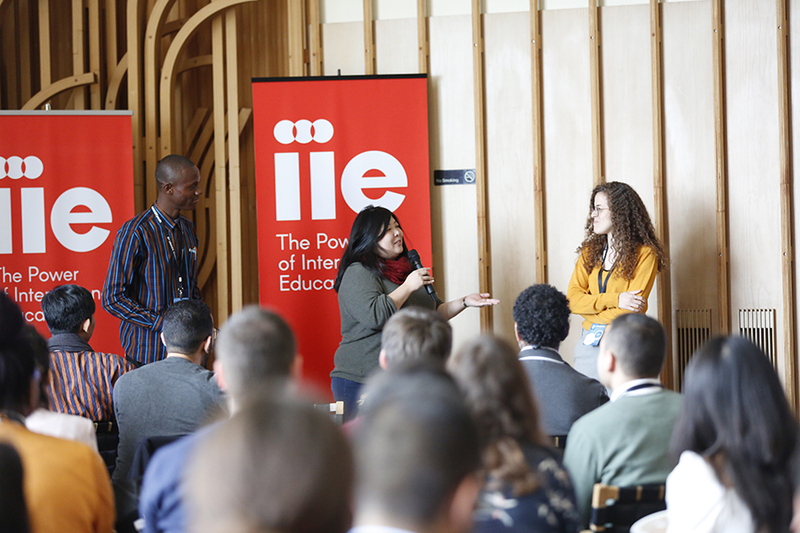 Morning sessions at the event featured icebreakers, as well as updates about the Global Forum and the Youth Event. 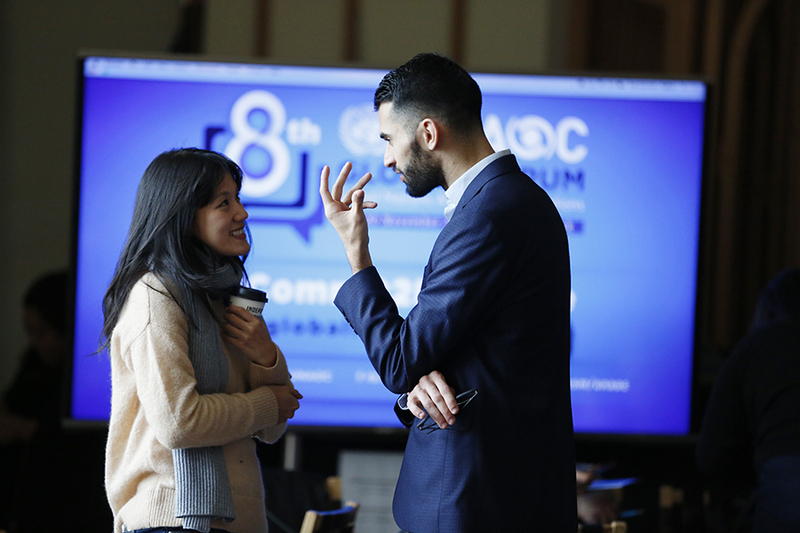 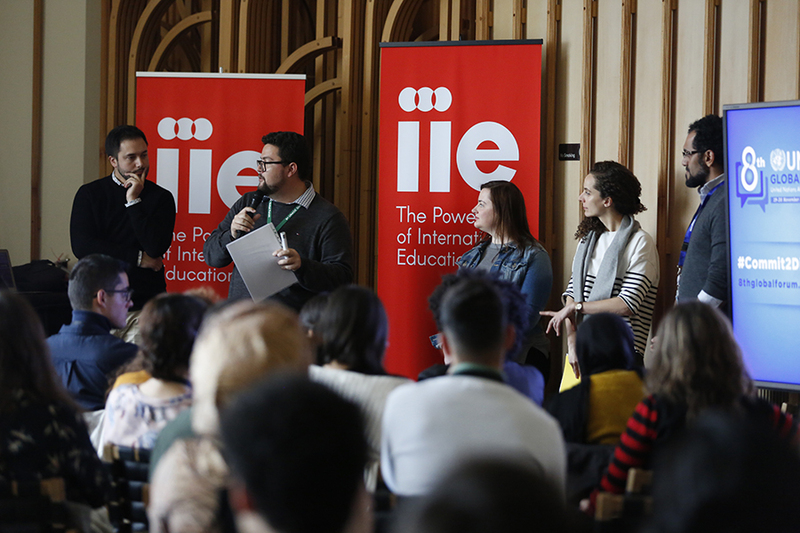 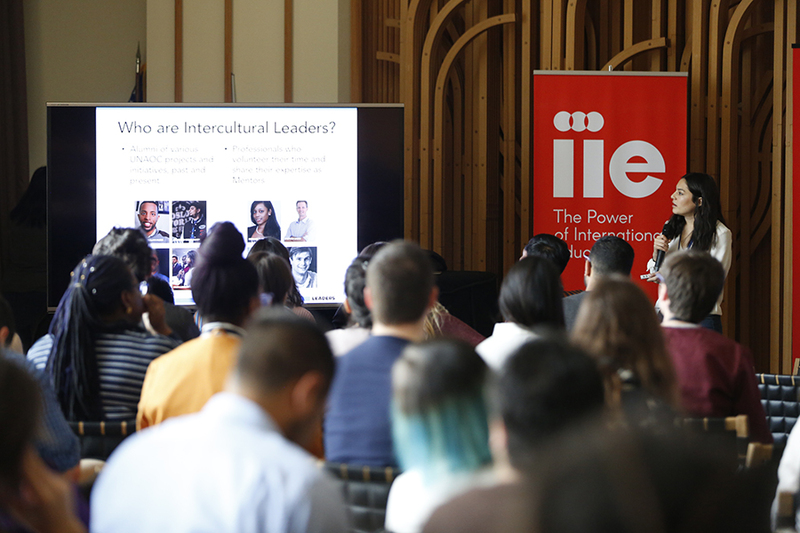 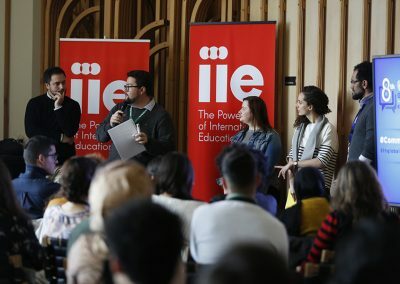 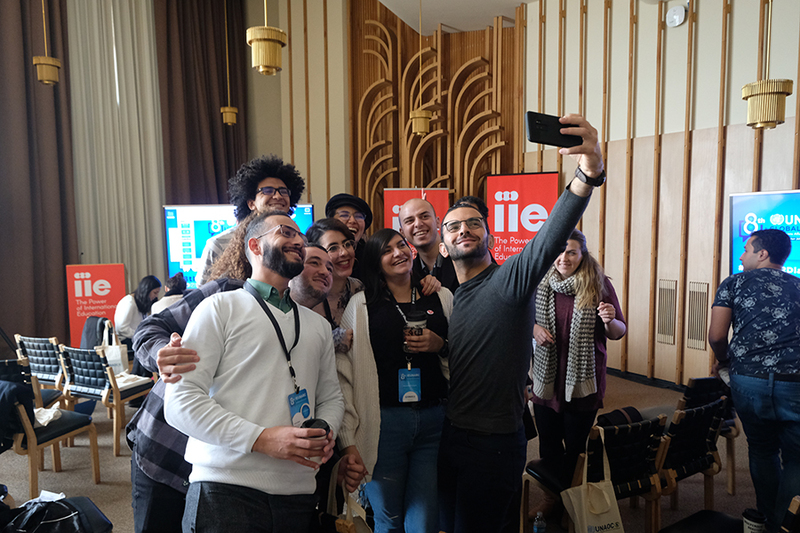 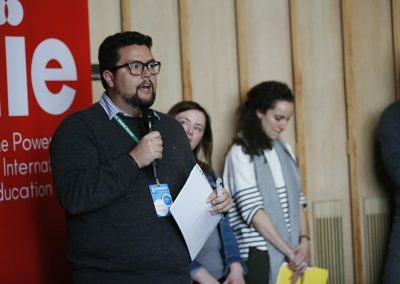 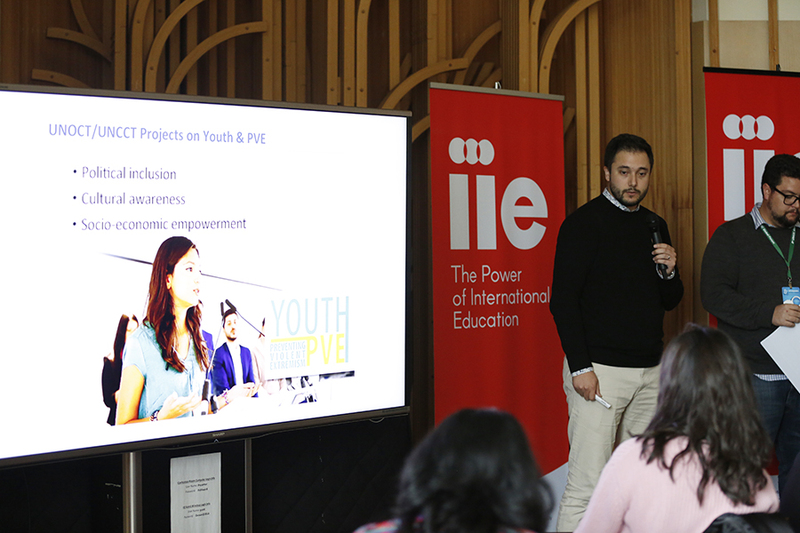 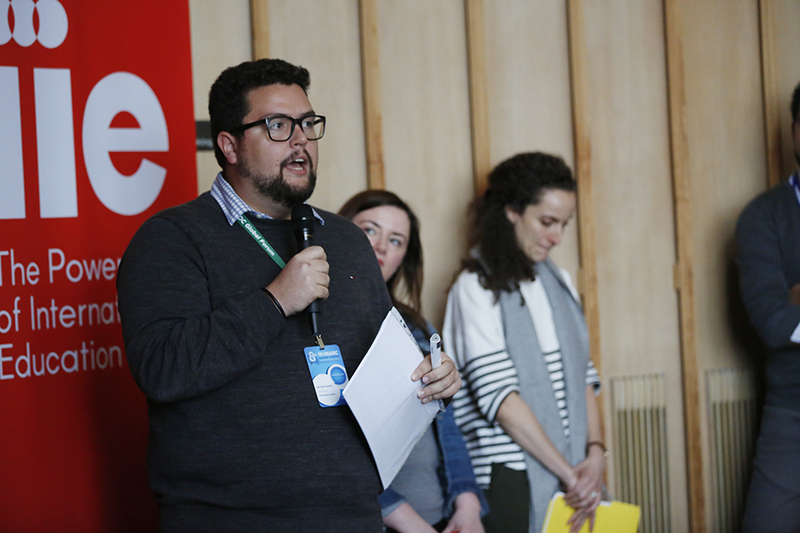 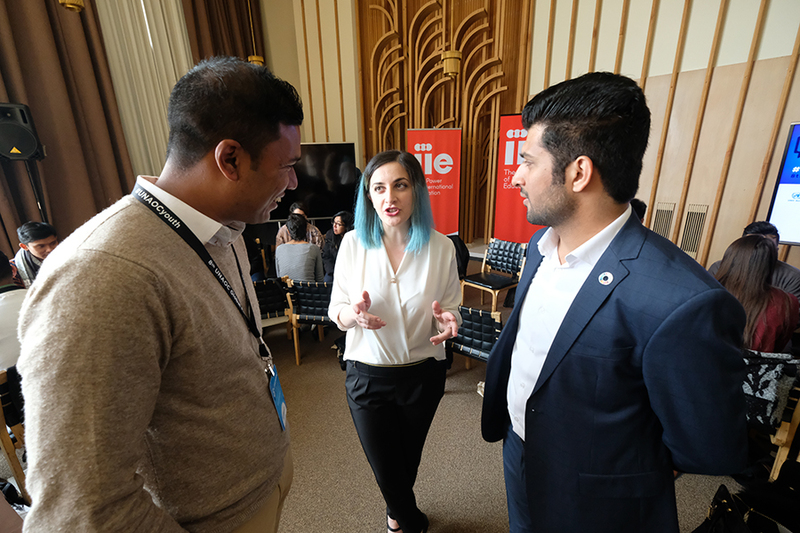 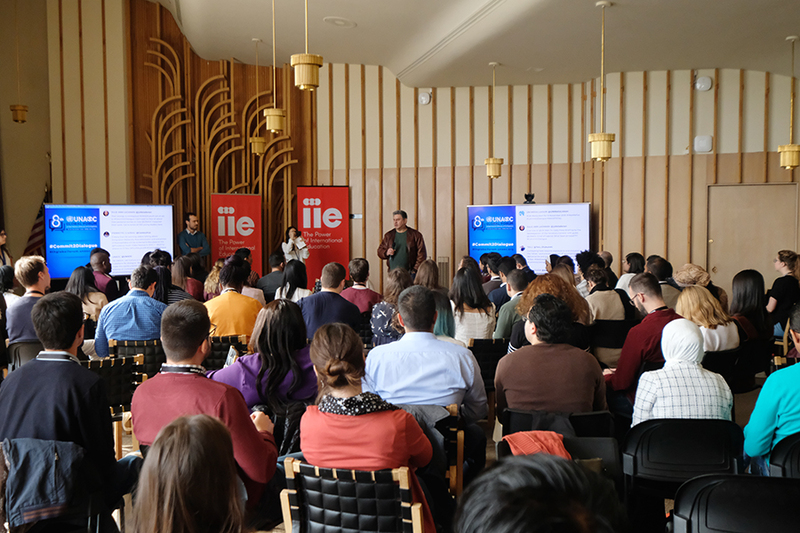 Participants were also introduced to Intercultural Leaders, a UNAOC knowledge-sharing platform for civil society organizations and young leaders working in the field of intercultural dialogue. 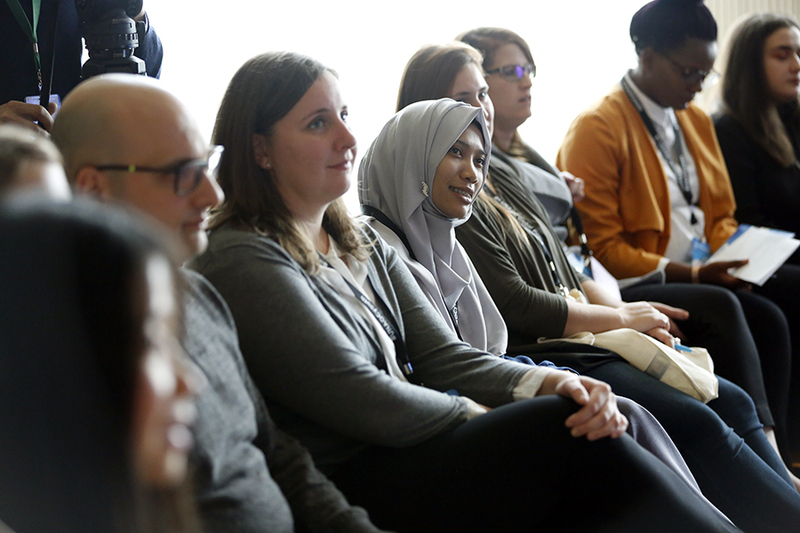 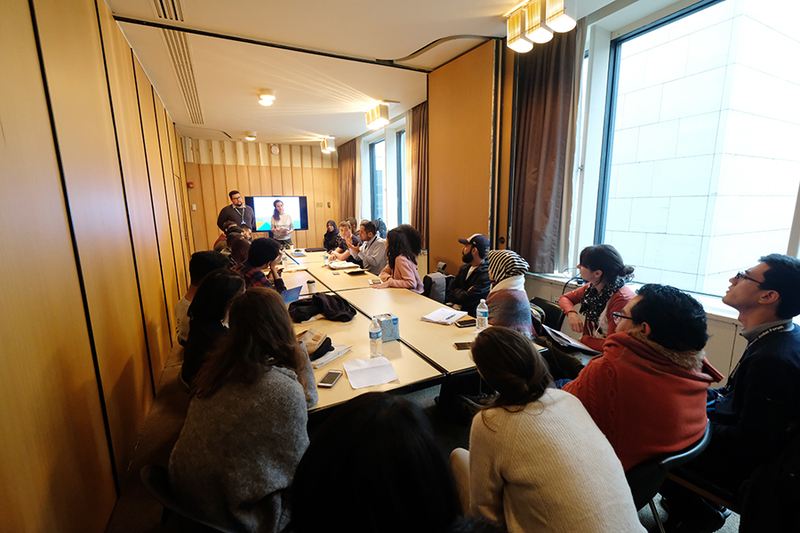 The afternoon included several breakout sessions during which participants discussed their achievements on the ground in the areas of peacebuilding using intercultural and interreligious dialogue, the use of media and new technologies, and the prevention of violent extremism. 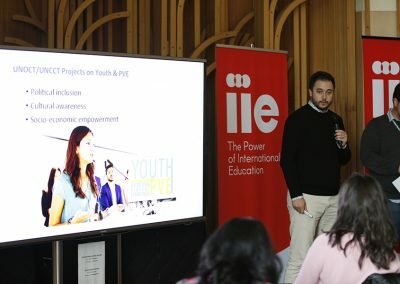 UNAOC alumni were invited to provide inputs on implementation of the recently-launched Youth 2030: UN Youth Strategy based on their experience and their partnership with UNAOC. 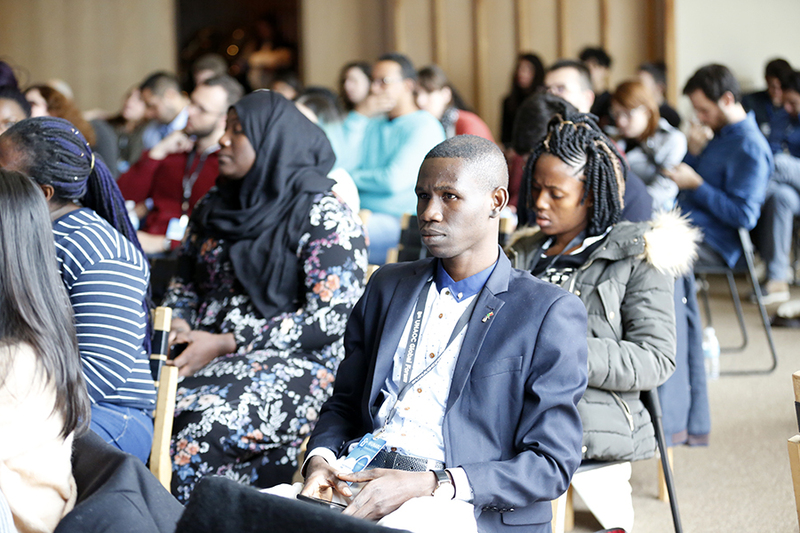 The preparatory event was facilitated by UNAOC, the UN Office of Counter-Terrorism, UN Women Arab States and the Integrated Office of the Deputy Special Representative of the Secretary-General, Resident and Humanitarian Coordinator and UNDP Resident Representative for Somalia. 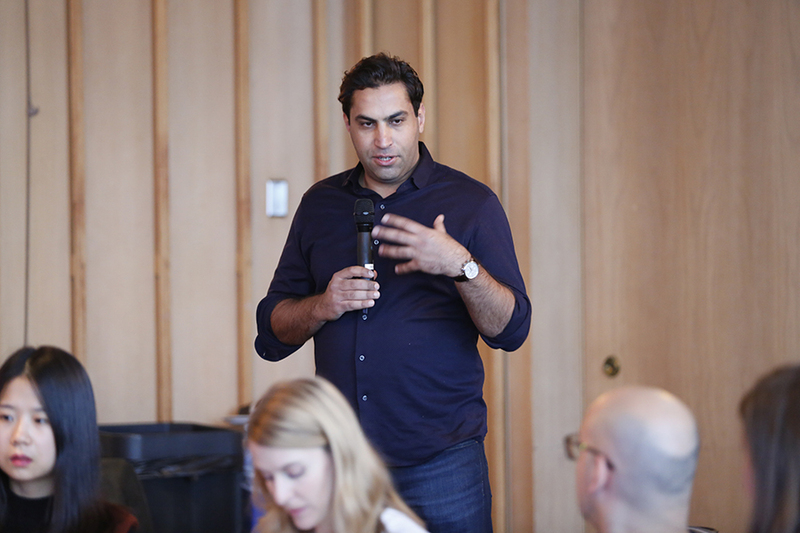 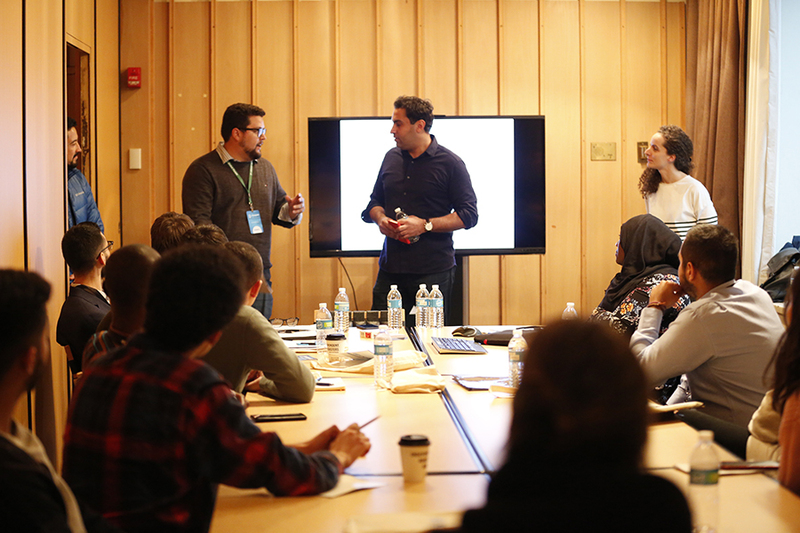 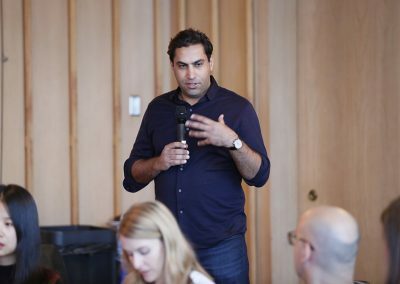 Ahmed Alhendawi, former UN Youth Envoy and current Secretary General of the World Organization of the Scout Movement, also met with participants. 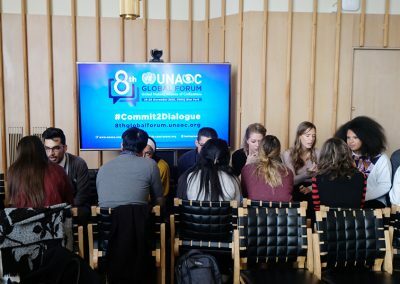 Participants also received social media training, and the event’s hashtags (#UNAOCyouth and #Commit2Dialogue) both trended on Twitter throughout the day. 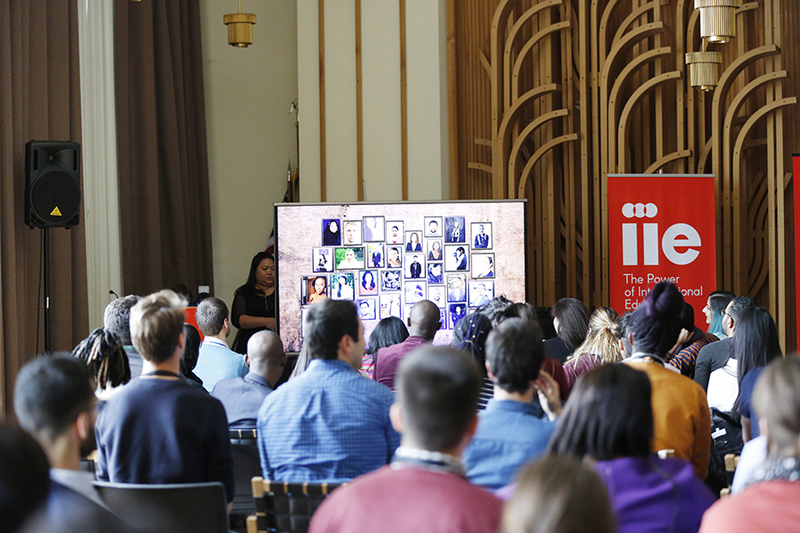 Watch a video recap here. Learn about the Youth Event here.